The predicted two decades of airline pilot shortages as the workforce ages are good news for the newest program at Eastern Mennonite University at Lancaster: a Leadership and Organizational Management (LOM) bachelor’s degree with an aviation concentration. For the next 20 years, a new commercial airline pilot needs to be trained every 15 minutes, CNN reported last July. It’s a “staggering figure,” in part due to the profession’s mandatory retirement age of 65. Military and regional carriers – traditional sites of pilot training and recruitment – are also facing aviator shortages. The program’s combination of a bachelor’s degree and flight certification allows expanded education funding options and mentorship and career guidance – and an expedited pathway to Airline Transport Pilot (ATP) certification. In a unique collaboration with EMU, Aero-Tech Services, Inc., an FAA-approved flight school based in Lititz, Pennsylvania, will provide flight training. EMU faculty will teach ground training corresponding to the flight courses, meteorology, human factors and aviation safety, aviation law and regulatory compliance. Graduates of the program will have earned a private and commercial pilot certificates, instrument rating and a flight instructor certificate. Students will gain immediate access to the cockpit in their first semester, and later participate in real-world flight operations with a 15-week internship. Cistone will also oversee the requisite aviation internship that will allow students to explore various career opportunities. With the LOM bachelor’s degree, graduates will be able to pursue ATP certification with only 1,000 hours of flight experience instead of the normal 1,500 hours. They will also be prepared for other flight and non-flight careers within the aviation industry, as well as to constantly adapt to rapid technological changes and cultural shifts. 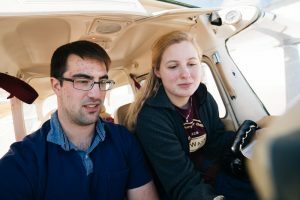 Pairing the aviation program with a four-year college degree also has a financial benefit: students can access additional funding streams such as federal financial aid. “Sometimes finding funding for people to pursue aviation is difficult. 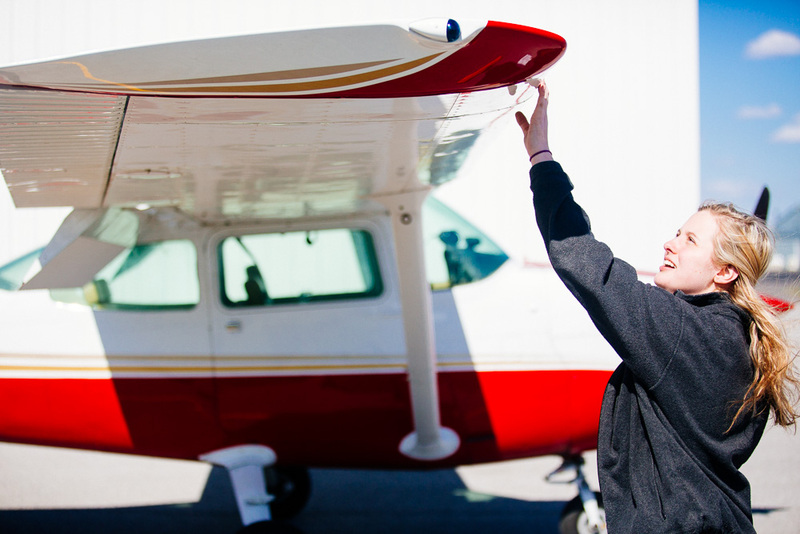 Making aviation part of collegiate training and undergraduate work opens some doors,” Hurst said. The LOM degree provides students with training and skills in leadership formation, human dynamics and organizational behavior for business and public administration, and human resources management. Among the many career possibilities are commercial or corporate airline pilot, flight instructor, airport operations manager, mission aviator, and aviation safety inspector. The LOM classes meet one evening per week and focus on topics such as team leadership, cultural and Biblical perspectives, organizational research, global trends in economic justice, human resources management, motivation theory, adult development models and leadership theory and practice. My WARMEST congratulations to the person who conceptualized, dreamed of, and initiated this program. He or she must be, indeed, a transformational leader! Congratulations! Take off and fly!